3 Bedroom Mobile Home For Sale in Porth for Asking Price £34,000. 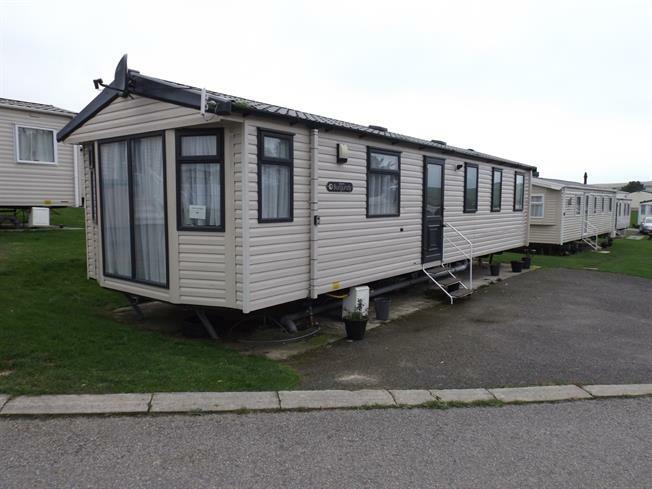 This 2015 Swift Burgundy 35' X 12' three double bedroom, eight berth holiday caravan, with lounge/kitchen/dining room, shower room, separate cloakroom, has LP gas central heating and UPVC double glazing. The on site facilities include club house, gymnasium, indoor and outdoor swimming pools. Viewing is recommended - Chain free. UPVC double glazed entrance door and window to rear. Modern fitted kitchen comprising five wall cupboards and five base units, with roll top work surface, inset stainless steel sink and drainer, LP gas cooker with extractor over, integrated refrigerator/freezer, boiler cupboard housing Morco LP gas central heating boiler. Radiator. Open plan onto inner hall and living room areas. Radiator. Doors into three bedrooms, shower room and cloakroom. UPVC double glazed window. Low level flush WC, wash hand basin.